Over the past half century Patti LaBelle has fashioned one of the most envious and successful careers in popular music. 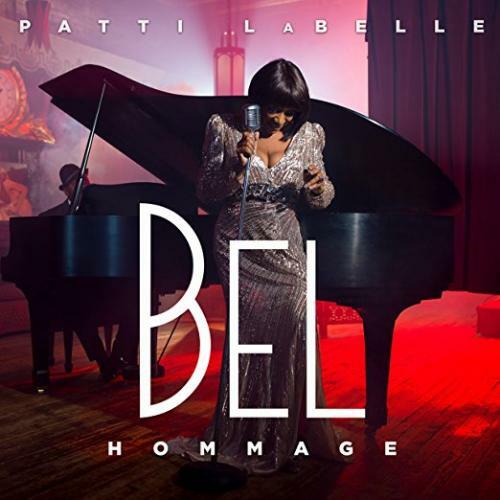 Both in groups and as a solo singer, LaBelle has shown amazing resiliency in staying relevant in the soul music world throughout her career, applying her church-trained, incredibly strong voice to multiple styles and continuing to sound contemporary even as she crossed her 60th birthday. Another in the long line of great singers born in Philadelphia in the 40s, Patti formed the teen group the Blue Belles with Cindy Birdsong (later of the Supremes), Sarah Dash and Nona Hendrix. The group scored hits in 1962 and 1963 with "I Sold My Heart to the Junkman" and "Down the Aisle," and continued to land a number of minor soul hits over the next decade, first as the Blue Belles and later as LaBelle. The group turned increasingly flamboyant during the later years of its existence, and out of the blue had its first across-the-board #1 hit in 1975 with Kenny Nolan's "Lady Marmalade." They hit again with "What Can I Do For You?" before splitting in 1976. LaBelle started her solo career in 1977 and had a series of lesser soul hits before signing with Gamble & Huff's faltering Philadelphia International Records in 1983 and releasing I'm In Love Again, a gem that included some of the best music that came of our Philly that decade. Working with PIR's hottest songwriters Dexter Wansel, Cynthia Biggs and Bunny Sigler, LaBelle recorded one great song after another, including the now classic soul ballad "If Only You Knew" (LaBelle's first solo hit), "Love, Need and Want You" and the excellent title cut, and found herself back at the top of the soul charts. LaBelle capitalized on her commercial rebirth with two contributions to the soundtrack to the Eddie Murphy movie Beverly Hills Cop, hitting the top 10 with "New Attitude" and "Stir It Up." She then landed another number one with the Michael McDonald duet "On My Own," and, amazingly for a singer who had previously had limited crossover success, debuted at #1 on the Pop album charts with the accompanying album Winner In You. Despite her newly found crossover success, LaBelle wisely kept her soul music fan base through a number of solid albums and memorable songs over the next decade, including "Kiss Away the Pain," "Yo Mister," "Feels Like Another One" and the beautiful ballad "Somebody Love You Baby." Though her recording career faltered in the late 90s and early 00s, LaBelle stayed busy on stage and also began to host her own television show. She signed with the fledgling Def Soul label in 2004 and released Timeless Journey, a commercial and critical success that included two great singles, "New Day" and the Gordon Chambers composition "Gotta Go Solo" (a duet with Ronald Isley). In Summer 2005 she released Classic Moments. She followed it two years later with the critically regarded The Gospel According to Patti LaBelle.